Freeform were introduced to APS by UK-based 10x15 Tents who supply these great structures to the events market, and they asked APS to help Freeform exhibit at The Showman’s Show, one of Europe’s largest trade shows for the events industry. APS’s responsibilities included all lighting, power distribution and some AV. 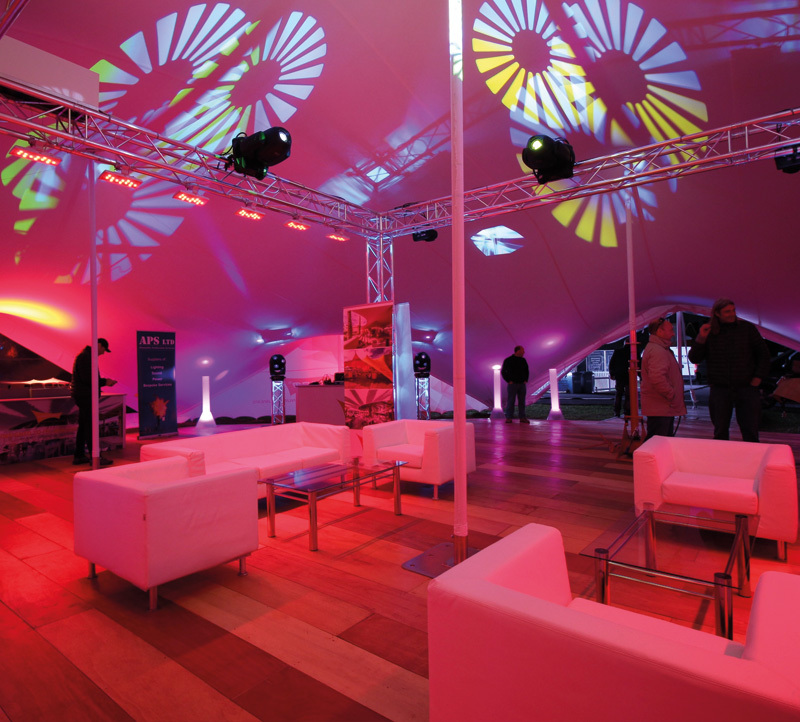 Freeform’s stretchable tents can create fantastic spaces for any sort of event but to showcase the products to their best effect they wanted to use our years of experience. 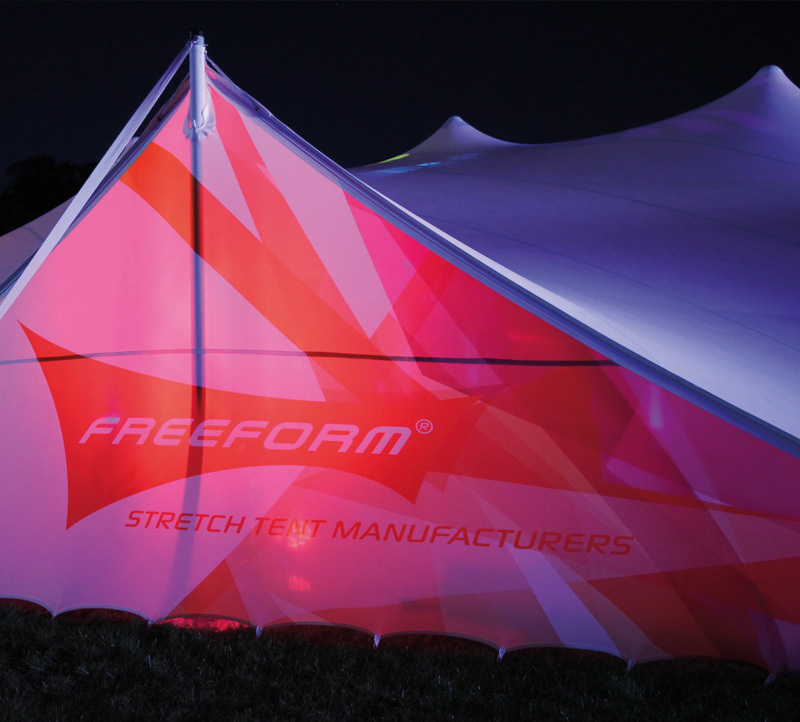 Working together with Freeform, APS developed a design that would demonstrate the wide potential of their tents – both during the day and at night – as well as meeting the needs of a trade stand. The images below were taken at the end of set-up before the show started. 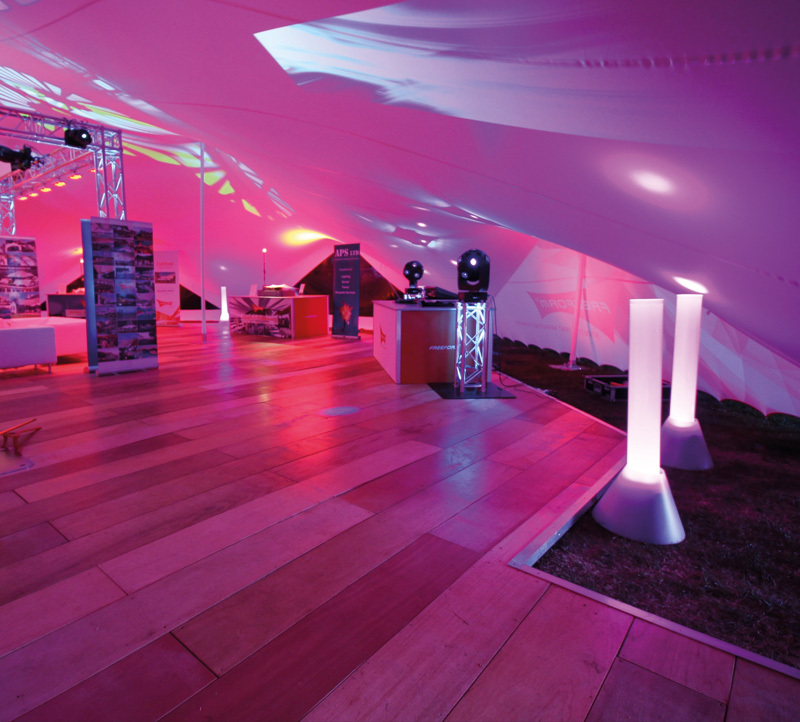 Moving-head lights, subtle washes and state-of-the-art trussing created a welcoming and stunning exhibition space. APS supplied a fully controllable lighting solution, which highlighted product models and other exhibit materials. We also arranged for company logos and entertaining patterns to be projected around the interior. This truly exemplified what impressive and versatile structures these are. As a result, it was also a very successful show for APS as well. We loved it. The exhibition was held at the Newbury Showground just outside Newbury, Berkshire in October 2016 as part of the annual Showman’s Show which attracts upwards of 20,000 visitors.